Along with the big game comes even bigger food. Is there anything better than a giant platter of delicious wings? Here are some of the best ways to prepare them. Baked, smoked, grilled, or fried, chicken wings are the perfect finger food. What else is so easy to make while still eliciting whoops of joy? 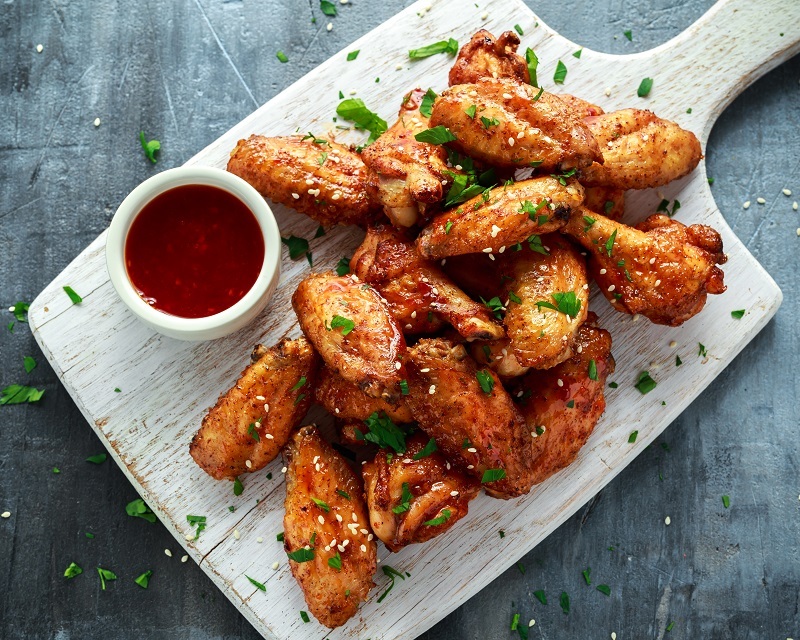 Here are a few pointers on making to-die-for Super Bowl wings that your friends and family will gobble up. Chicken wings have three parts: drumettes, flats, and wing tips. What you get in a restaurant are usually a mixture of the first two. Party wings are just regular chicken wings cut at the joints. You'll save a ton of money doing it yourself if you're okay with that sort of thing. If you're starting with frozen wings, make sure they're completely thawed and dried before cooking. You don't want anything to ruin that crispy texture! 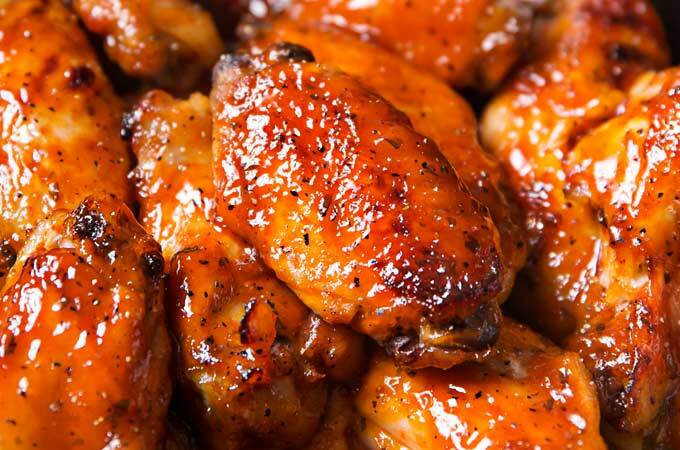 Count on at least 6-8 pieces per person if the wings are your main protein. You can also stretch things out by adding carrot and celery sticks along with some ranch or blue cheese dressing. I'm going to go over two basic methods for cooking the perfect chicken wings: baking or frying. If you're frying them without breading, don't cook them longer than 12 minutes. That's how Wing Stop does it, and they come out perfect every time. Once they come out of the hot oil, toss them with dry seasonings like lemon pepper or adobo. You can also drain them on paper towels if you're going to serve them with a sauce. If you want to batter the wings, keep it simple and make a seasoned flour blend. Shake the wings and the flour in a bag before dropping in the hot oil. I prefer to bake my wings until crispy. To do this, line a cookie sheet with foil and preheat your oven to 450 degrees. Lay out your wings so they're not touching and season with salt, pepper, and garlic powder. Bake them for approximately 40 minutes or until the skin is as crispy as you'd like. From here, the variations are endless. Basic buffalo sauce is 1 cup of hot sauce whisked with 1 melted stick of butter. You can use whatever hot sauce you'd like; I generally stick with Frank's or Texas Pete for a medium-hot level sauce. Play around with different hot sauces and create your own Atomic Wing Challenge! A good Asian marinade for chicken wings is a few crushed cloves of fresh garlic, oyster sauce (about 2 tablespoons per pound of wings), and freshly ground black pepper. If you toss the wings with this before baking, you'll end up with a savory wing that is still dry enough to handle easily. If you have time and want to try some fancier dishes, this recipe for Thai Green Curry Wings is really delicious. This recipe for Sticky Sesame Wings is perfect for those that can't handle anything spicy. Grilled wings are another easy preparation if you have someone willing to stand out in the cold. 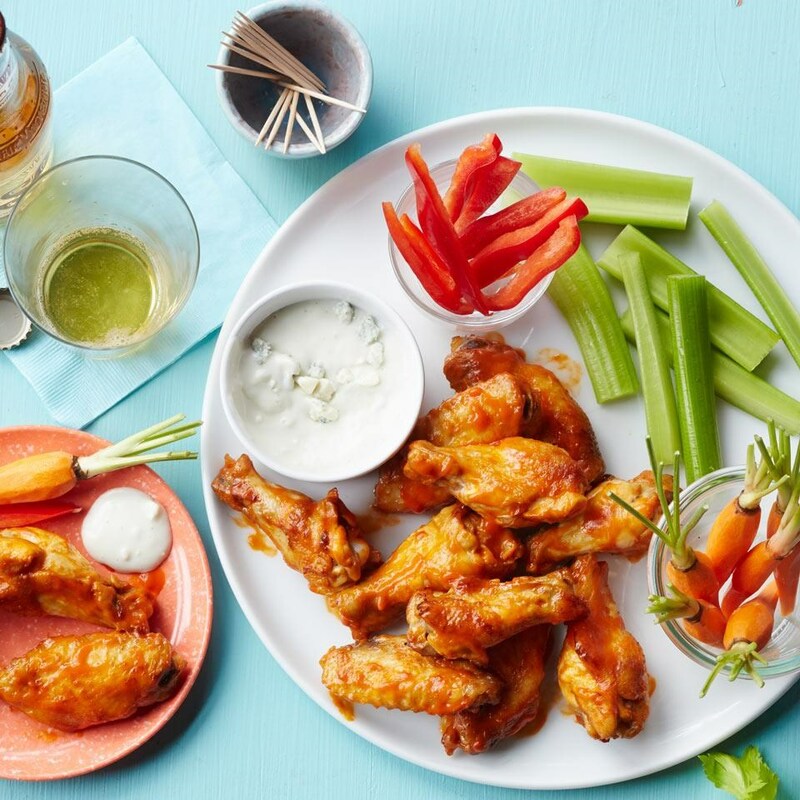 Do you make wings for the big game? What's your favorite method? Let us know in the comments below! Buffalo Wild Wings is offering free wings to everyone in the country -- if the Super Bowl goes into overtime. Here's hoping! Learn more here.